Today is world vegan day! In honor of the lifestyle that exposed me to animal rights, to it’s environmental impact, and the wonderful recipes I eat daily; I want to share with you all my favorite cosmetics. Though I do not eat a vegan diet full time now, I do firmly believe in vegan cosmetics. There is absolutely no need for any animal to be involved in the cosmetics production or testing and in my experience vegan cosmetics are just as good and better than many in the mainstream! My go to “face” for work including 100% Pure’s Water Foundation, Brow Tint, Lipstick in “Sonora”, Bronzer is Nudestix in “Eh Maple” and Au Naturale bronzing powder. It’s all set with Au Naturale’s Minimizing Pore Powder. 100% Pure has been my favorite “natural” beauty shop for all things skincare and makeup for almost 5 years now. I would say 80% of my lipsticks come from 100% Pure and their clean products make me feel like I’m healing my skin even though I’ve packed the makeup on to look alive on the airplane. When you go online make sure to take advantage of their “specials” tab where you can amazing deals! This is my GO TO lipstick. I am constantly trying to buy up the entire collection. These lipsticks last all day, highly pigmented, and don’t make me feel like my lips will dry up and fall off after 12 hours of wear. My go to shades are: Sonora, Cassia, and Desert Rose. My eyes are incredibly sensitive! There are only 2 mascaras I’ve ever been able to use without my eyes burning and this is one of them! It also smells like berries which just adds to the magic. These last few months I’ve really embraced using makeup to enhance my natural beauty not to create a new face with makeup. Instead of creating brows I prefer to use this brow builder to just glue my brows in place, tint the little blonde hairs, and the fibers fluff them up a bit. With one swipe per brow I can embrace my inner Brooke Shields. For almost 2 years I obsessed over It Cosmetics CC Cream (not vegan) and couldn’t find a replacement for it. A little over 6 months ago 100% Pure held a promotion to test their new water foundation. Initially I wasn’t wowed by this formula but more recently with my desire to look like myself, but with flawless skin, I have come to obsess over this foundation! It feels like nothing is on your skin but covers up anything you don’t want to be seen; I have officially replaced it in my beauty routine. I first found Au Naturale through Petit Vour, a vegan beauty subscription box, and fell in love with a creme blush. From there I purchased a powder starter set and learned that not all mineral foundations are created equally and my past with Bare Minerals could be left in the past. More recently I repurchased an entire face of makeup using Au Naturale and had mixed feelings over their new packaging for mineral products. Still though the products mentioned I used daily. I own this in the shade Aura and it’s a euphoric highlighting experience, unlike most highlighters on the market there is no glitter so nothing will settle in your pores. Instead this soft powder leaves a angel like glow wherever you put it. It has put all my other highlighters to SHAME. When I feel like being cute and lazy this lipgloss is my go to. It’s thick and nourishing with just enough tint to make you feel put together. My go to pink is “slip”. This might be the shocker, it’s not a long lasting or even a super matte formula but this liquid lippie feel so good it doesn’t even matter. I would say that the sustain lip stain is a nourishing liquid lip and wouldn’t make me self conscious to kiss someone in this. I wear the shade “On Pointe” almost daily. Nudestix is a relatively new brand, I remember their launch, and do not get the attention they deserve. I am constantly on the go and constantly going through security and Nudestix has provided me the solution to all my problems. Their products and mostly vegan and clearly labeled are multitasking masters that are my go to tools in my quick beauty kit. At this point I own almost 20 pencils and plan on buying almost everything they make! Unlike the other products, there’s no need to describe these products in detail, trust they’re easy, long lasting, and totally worth it. 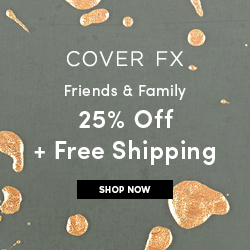 CoverFX can be found in Sephora and was introduced to me by a sales rep who could only think of this brand when I asked about clean cosmetics about 5 years ago. A leader in the mainstream beauty community to take out nasty fillers and chemicals in their products, I have no qualms pickup any of their products. This my favorite on stage foundation. It’s clean, comes in a wide variety of shades, and the fullest coverage to handle stage lights. My favorite liquid highlighter, these drops are serious multitaskers from highlighter to eyeshadow to foundation base; I can’t get enough of these drops. A little goes a long way and a sample size has lasted me about a year and I plan on buying the whole collection. 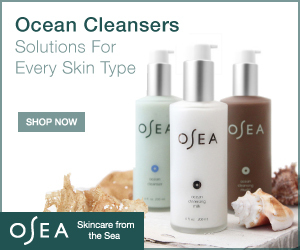 Looking for more vegan beauty? The products mentioned above are my regular daily use products and I’m still on the lookout for more to keep bulking my beauty retinue! My go to website to find good clean vegan beauty if Petit Vour. 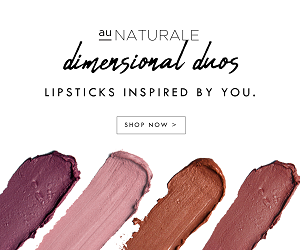 Disclaimer: Links to Amazon, Au Naturale, and CoverFX are all affiliate links. All this means is that when you purchase through those links I earn a small commission that helps keep this blog running.